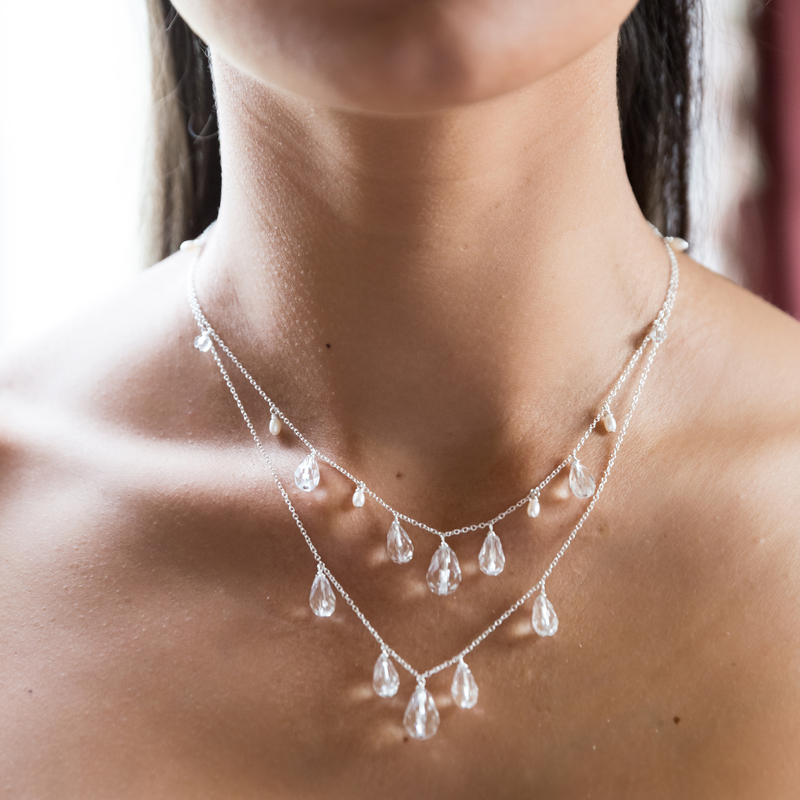 Part of our new Lili collection, and combining genuine Swarovski crystals with lustrous seed pearls, the Lili Crystal and Pearl Bridal Necklace will make an outstanding addition to your wedding day. 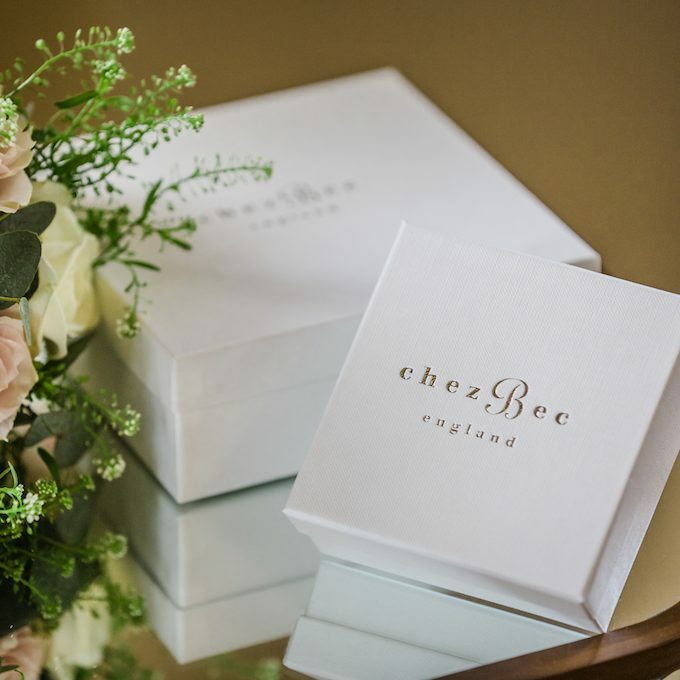 Adored by brides for its impeccable styling and eye-catching design, this designer inspired wedding necklace is made from premium sterling silver and equipped with an extender chain so that it can be adjusted to complement every neckline. Sparkly and beautiful, the Lili Swarovski Crystal Wedding Necklace will leave you looking and feeling like a movie star on your big day, and whether you decide to wear it solo for a chic and sophisticated bridal look or mix and match with other pieces in the Lili Wedding Jewellery Collection, it will complement your wedding gown to perfection. 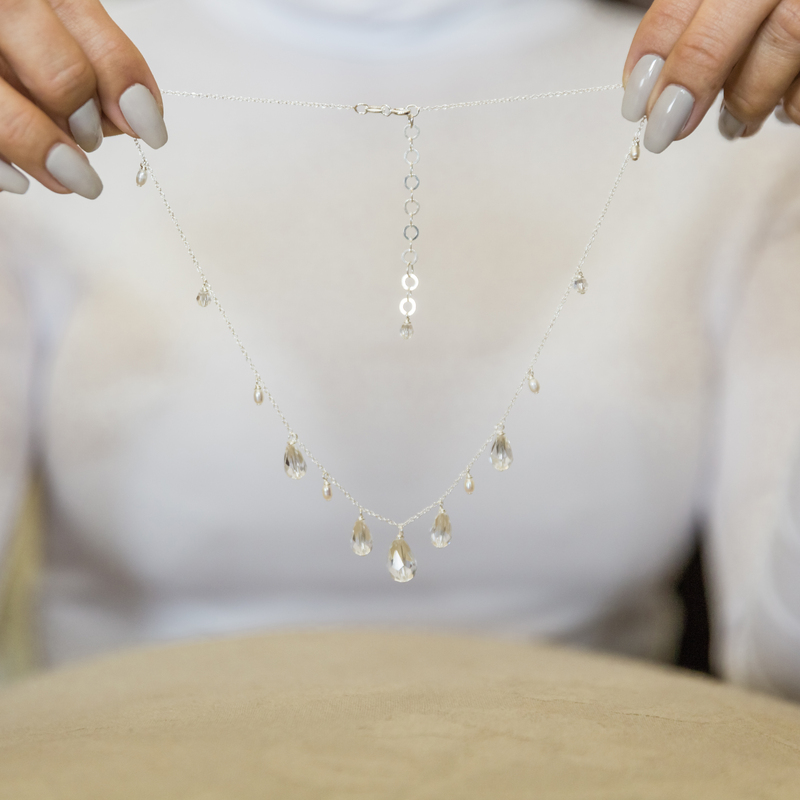 Team this beautiful bridal necklace with other pieces from the stunning Lili collection. Materials: Shown in Sterling silver with freshwater seed pearls and Swarovski crystals drops. Also available in a filled red gold or filled yellow gold finish, just select your preference from the drop down menu. Be the first to review “Lili crystal and seed pearl wedding necklace” Click here to cancel reply.